Endurance riders demand fast bikes that are comfortable enough to pedal for hours, the Revenio meets those demands. 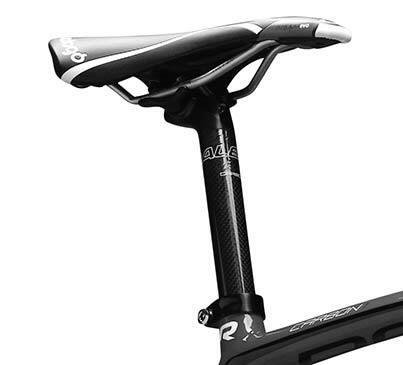 The geometry has been updated with a slackened seat angle that shifts the rider’s center of gravity back and takes some weight off the handlebars. The result is reduced strain on wrists, elbows, neck, and lower back. Less fatigue translates into improved stamina and comfort. 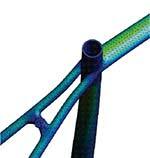 Bike performance is directly linked to shape and fit of a bike. Endurance riders demand fast bikes that are comfortable enough to pedal for hours, the Revenio and Capri meet those demands. The 2014 Revenio and Capri have received updated geometries in both the alloy and carbon versions. A key highlight includes the slackened seat angle, which shifts the rider’s center of gravity back and takes some weight off the handlebars. The result is reduced strain on wrists, elbows, neck and lower back. Less fatigue translates into improved stamina and comfort. 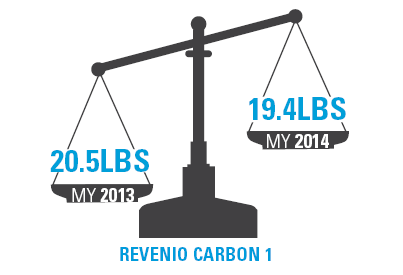 All Revenio bikes are lighter for 2014! All Revenio models feature revamped forks for improved stability and handling. All of the Revenio are spec'd with Raleigh custom all-carbon Monocoque tapered steerer forks. Other bikes in the fleet have either a new carbon-bonded 1.5" taper fork or a new chromoly fork (for the Revenio). We have created these new forks to give these endurance bikes the quick handling they deserve. All forks feature a 50mm offset to complement our new frame geometry. We adjusted the bikes' head angles to work with this new fork, and the result is a responsive, precise ride without any toe-overlap with the front wheel. The wheels bring a spark of life to a bike, and all 2014 Revenio models are lighter, faster, and more stable with upgraded wheel sets. All wheels are stiffer and feature premium hubs and wider rims. All hubs are either Formula sealed-bearing hubs or new Formula hubs with Smooth Bearing Technology and CNC-machined dust caps to keep out the elements. The newly designed lightweight rims will either be the 23mm Weinmann Gmax, or the 21mm Aerodynamic Momentum. These upgrades allow riders to run lower tire pressure with less tire roll. This will enable faster and more confident cornering. We love data, especially when the information gives us a competitive edge. We used the results from Finite Element Analysis (FEA), also known as "strength analysis," to optimize strength and stiffness as well as comfort. 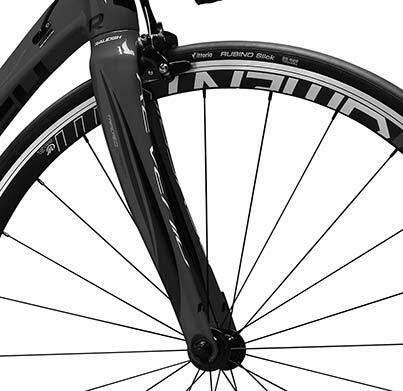 Consequently all 2014 aluminum and carbon Revenio frames feature updated seat stays, top and down tubes, and increased stiffness in the right spots for highly efficient and extremely comfortable road bikes.